Custom imprinted drawstring backpack is that stylish backpack, which squeezes enough room for your gym essentials and more. 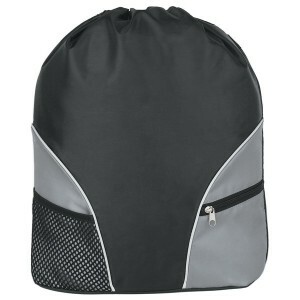 You can avail this drawstring backpack in various colors. Made of 210D polyester, this backpack features 2 outside pockets ( big enough to carry your ear pods and other handy travel essentials) and can be managed through a drawstring closure. Adjustable shoulder pads make it easier to carry around. 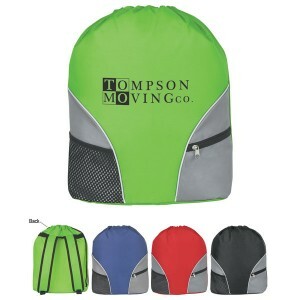 Perfect for gifting during corporate events and tradeshows. 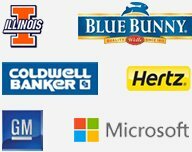 Save on online design proof. 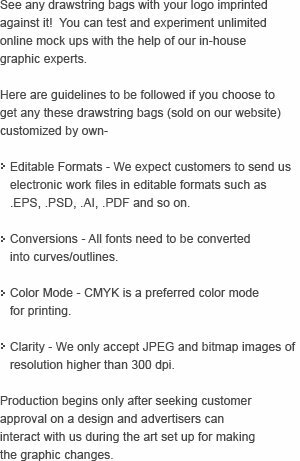 Request a quote to know discounts that you can avail for these customized drawstring backpack. Available Colors : Black, Royal Blue, Lime Green, Red.